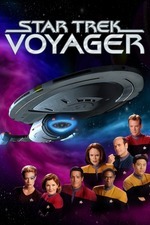 - Although this is the second Star Trek: Voyager episode that Robert Picardo directed (having helmed the third season installment "Alter Ego"), he originally hoped that his second turn as director of the series would be towards the end of the fifth season. - Phil Morris (Lt. Kelly) has literally grown up with Star Trek, and has played several supporting roles throughout his life, including one of the children in TOS: "Miri", a Starfleet cadet in Star Trek III: The Search for Spock, a Klingon bodyguard in DS9: "Looking for par'Mach in All the Wrong Places", and a Jem'Hadar soldier in DS9: "Rocks and Shoals". - Buck Bokai, a baseball player often mentioned in Star Trek: Deep Space Nine (and "seen" in "If Wishes Were Horses") is mentioned. In this case, Lt. Kelly, a fan of the New York Yankees (who were playing Bokai's London Kings in the 2032 World Series), speaks pejoratively of him. - In one of Robert Beltran's renowned criticisms of the direction the series was taking, he stated in an interview on his website that he was looking forward to filming this episode, as it provided a rare development of Chakotay's character (largely missing in the latter seasons). His excitement turned to frustration however when the majority of the episode was given over to Seven of Nine's character development, leaving Chakotay's as largely secondary. - Part of what looks like a Klingon Bird-of-Prey can be seen in the alien wreckage, particularly the disruptor cannon. - When John Kelly's logs are played back and he is heard mentioning "pilot error", Tom Paris visibly flinches at this, remembering the flight accident at Caldik Prime that killed three officers – an accident he himself caused. - Of interest in the chronology of Star Trek is that World War III would have been going on at the same time as the Mars Mission (WW-III is stated to have begun sometime around 2026). However, as indicated in Star Trek: First Contact, the "worst" of the war may not have yet happened explaining why there were still manned missions to other planets occurring during this time frame. This is plausible from a historical viewpoint, since Cold War tensions fueled the space programs of the mid-twentieth century, and the Gemini and Apollo programs ran simultaneous to the Vietnam War. - This episode marks the only time Andorians are referred to on Star Trek: Voyager. - Interestingly, there was recently an "Ares IV" rocket (not the spacecraft) proposed for Constellation program, a new American initiative to explore the Moon and Mars. The project was cancelled in 2010, however, which drew criticism from several former Apollo astronauts, including Neil Armstrong. - The Doctor makes reference to a planet called Arakis Prime, presumably a reference to the 1965 novel Dune by Frank Herbert. "I think I just saw another spacecraft." "Space: literally it means 'nothing,' a vacuum between stars and planets, but by the same token it means 'everything.' It's what connects all our worlds, Vulcan, Qo'noS, Talax, Earth. Centuries ago mankind sent its first wave of explorers into that void, astronauts like Mr. Kelly. They paved the way for the first colonies, the first starships for those of us who've made space our home. We commend the spirit and the bravery of Lieutenant John Mark Kelly as we commit his body to space. He will not be forgotten." "Captain, I'm detecting residual verteron traces [dramatic pause]… and they match the neutrino signature of the Barzan wormhole. Also there's chunks of Earhart's plane floating around in this thing. I'd say that wormhole is periodically dumping random Alpha Quadrant detritus and space anomalies out here." In recent years, a manned trip to Mars has gone from science fiction to rrrrreally-almost-science-fact. If nobody here has seen The Martian with Matt Damon, it's totally worth a look. I'm close to done with season six in my own rewatch right now, and I gotta say, so far this is shaping up to be the dominant candidate for best episode of the season, and one of less than ten that I thought were successful overall. Poor Ron Moore. Man, Paris should meet that Nick Lorcarno guy sometime. They seem to have a lot in common. Otherwise, I thought that it was a fine episode. I'm willing to cut Phil Morris a bit of slack, as it's difficult to convey simultaneous terror and sheer wonder. There's a lot of pathos in the idea of a groundbreaking trip being one-way--not unlike what a trip to Mars might be in reality, actually--and I got a bit of a lump in my throat when Kelly switched his remaining power from life support to gathering data. And while I likewise think that Beltran's frustration is understandable, it was a good idea to have Seven be the one to go aboard Ares. One of the saddest things about the Borg is the idea that assimilating a civilization's entire knowledge base has become an unremarkable chore for them, and especially for an ex-drone, the idea of someone who's more alone than any human being up until then staying on his mission has to have some extra resonance. Particle of the Week: Gravitons, in ellipse format. * Credulity Straining Alpha Quadrant Contacts: This makes lucky 13. Cheeses' suggestion on that point would've been a help. * This is all right. My thoughts about this episode have mostly been covered: the basic ideas are true to Trek, but the complaints are valid too. On the one hand, we have an encounter with something weird and strange and cool that a Starfleet crew investigates just for its own sake, leading a semi-human character to learn a valuable lesson about the value of [$human_value]. This part works well enough for me. On the other hand, Chakotay is sidelined. Again. So basically it's good, but weighted down by other episodes underperforming: we wouldn't be complaining about Chakotay here if he had stuff to do in other stories. * Seven's take on the Borg is weird, but that may be okay. She flipflops a lot about what she's pulling from the Borg: sometimes she wants to reject them entirely, sometimes she's basically still towing the Collective company line. This is potentially very believable given her circumstances, but it's more difficult because we don't see more little background details to give her shifts in perspective grounding. So this is something that sort of stuck out to me in this story, but isn't necessarily a big deal. * I liked the direction and SFX. The graviton ellipse itself is a little silly looking, but overall, I enjoyed the direction, prop work, sets and so on. Jeri Ryan offered a good performance, per the usual. So... yeah, not a ton more thoughts about this right this second.